If you've been a member in the past, we're always happy to have you back! 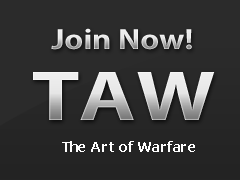 All of the information from your previous time in TAW is saved. Your previous website account will still be active and will be the one you'll need to log into and use, rather than creating a new account. We don't actually have an onboarding system in place for returning members like we do for new members, so in order to rejoin us you'll need to visit the units page and find the names of the DC and DO of the game you're wanting to join. Send an e-mail to them by adding @taw.net to their names and let them know you'd like to join them. They will then respond to you about your request and will probably ask a few things to make sure you'll be a good fit for their division. Once they're satisfied, they will be able to re-activate your account under their game and you'll be able to access all of the member areas again!